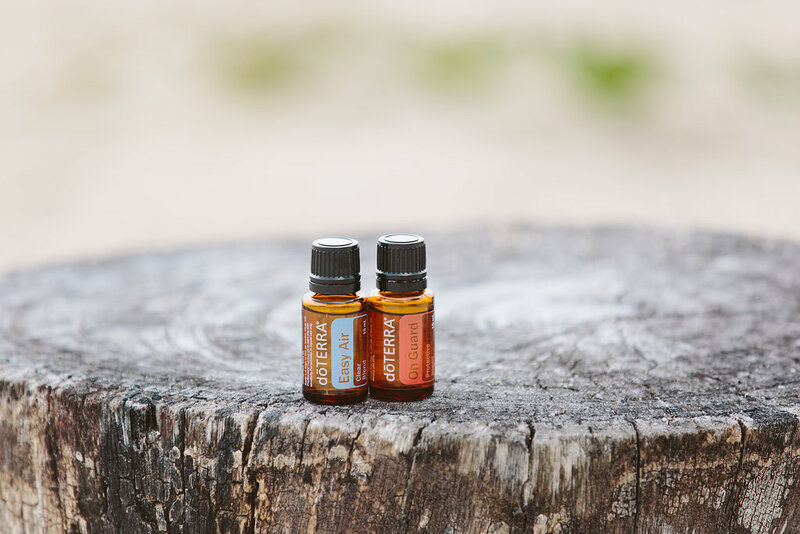 OnGuard is one of doTERRA’s most popular oils, as it is a powerful blend that supports immune function and contains cleansing properties. It is one of my favourites to use in the home as it helps protect against environmental and seasonal threats for the immune system, while being an energising and uplifting aroma. OnGuard has so many uses that this one essential oil will allow you to replace several chemical-laden products in your home! Here are some of the ways I like to use doTERRA’s OnGuard essential oil to cleanse and purify my home. Add a few drops of OnGuard to water in a spray bottle to create a protective all-purpose surface cleaner for your home. Place a few drops of OnGuard in your diffuser to protect your home from germs and help boost immune systems in your household. Combine a few drops of OnGuard with Fractionated Coconut Oil for a natural hand cleanser. Add 15 drops of OnGuard to 1 cup of cornstarch or baking soda. Sprinkle and rake onto carpet and allow it to sit for an hour before vacuuming your carpet clean. Mix 5-6 drops with ½ cup of baking soda to clean your bath without all the usual harsh chemicals. Add OnGuard to your wash during the rinse cycle. It will leave your laundry even cleaner, and smelling amazing.